We invite you to take a look around and learn more about the historic agricultural architecture of New York State. The New York State Barn Coalition is a non-profit organization formed for educational purposes. The coalition is dedicating to promoting the appreciation, preservation, rehabilitation, and re-use of historic barns. 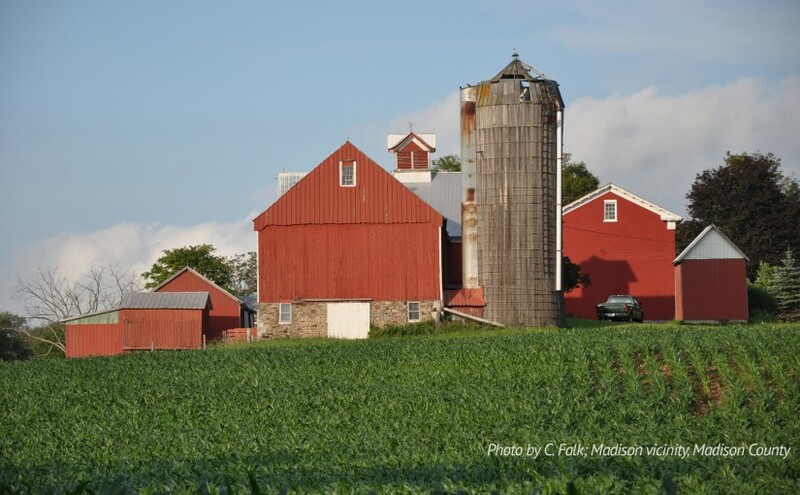 The organization seeks to promote a broad understanding of the educational, economic, historic, symbolic, and aesthetic values of historic barns and farmsteads in order to revitalize communities and promote pride in New York’s cultural heritage. The coalition’s members include preservationists, students, teachers, government employees, barn owners, farmers, architects, engineers, contractors, craftsman, historians, and general enthusiasts.